A four-wheel drive SUV can provide added traction that appeal to many drivers. Whether you are looking for a capable off-road vehicle or just want added traction in the snow, a four-wheel drive SUV will check all the boxes. 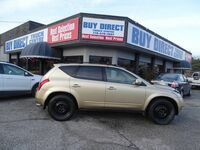 Buy Direct Truck Centre offers a great selection of used four-wheel drive SUVs in Kelowna BC. 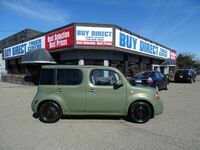 Car shoppers visiting Buy Direct Truck Centre will find an extensive selection of pre-owned vehicles from many different manufacturers. In addition to our inventory of used cars, trucks and crossovers, Buy Direct Truck Centre offers and extensive selection of wholesale models. Wholesale pricing offers an even better deal on your used car purchase. Our inventory of currently-available vehicles can be viewed here on our website. Our selection of pre-owned vehicles offered at Buy Direct Truck Centre includes many models from the top SUV manufactures in the world. Buy Direct Truck Centre offers vehicles from iconic brands like Jeep. The Jeep lineup has built a reputation on four-wheel drive performance. Buy Direct Truck Centre carries popular models like the Jeep Wrangler, Jeep Grand Cherokee, Jeep Compass and Jeep Cherokee. If off-road driving is your forte, it’s hard to beat a Jeep. The popularity of the SUV segment means there is no shortage of these vehicles on the pre-owned market. Just about every manufacturer offers multiple SUV and crossover models, most offering four-wheel drive or all-wheel drive, and we have many of them here at Buy Direct Truck Centre. 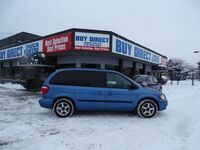 Buy Direct Truck Centre carries crossovers and SUVs like the Hyundai Santa Fe, Hyundai Tucson, Subaru Forester, Dodge Journey, Subaru Outback and more. Take a look at our inventory of pre-owned vehicles here on our website to learn more about the models we have to offer. Get in touch with a Buy Direct Truck Centre team member if you have any questions.